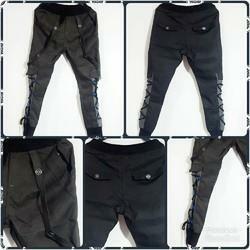 Manufacturer of a wide range of products which include mens jeans, denim joggers jeans and mens joggers. 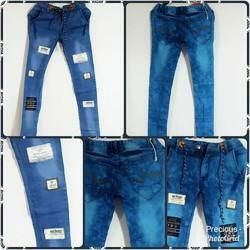 Discover the many benefits of these well-designed slim jeans from Precious Enterprises. Style yours with sneakers and a light jacket when you need a casual outfit to run errands in. 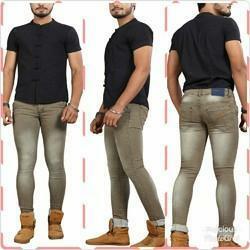 Grey Medium wash 5-pocket mid-rise Jeans, low distress with light fade, has a button and zip closure, waistband with belt loops. 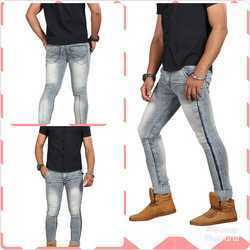 Blue dark wash 5-pocket mid-rise jeans, clean look with fade, has a button and zip closure, waistband with belt loops, Add these jeans to your personal wardrobe and reap major style benefits. Rock them with trainers and a light jacket and enjoy a nice stroll around the park. 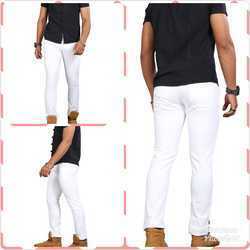 White dark wash 4-pocket mid-rise jeans, clean look with no fade, has a button and zip closure, waistband with belt loops. Featuring flexibility, total comfort, and a perfect fit. Each pair is engineered to go where you go, durable enough to do what you do, and comfortable enough to wear every single day. Treat yourself to a brand new pair of jeans and rock your new look. Wear yours with easy loafers and a stylish shirt when you're going to the movies with your pals. Blue medium wash 4-pocket mid-rise jeans, clean look with light fade, has a button and zip closure, waistband with belt loops, Team yours with Chelsea boots and a fitted T-shirt for a handsome look for both work and play.